“Pret A Manger, the quick-serve restaurant and coffee shop known for preparing fresh, handmade food every day, is excited to open up its eighth shop in the nation’s capital this Friday, August 1st. 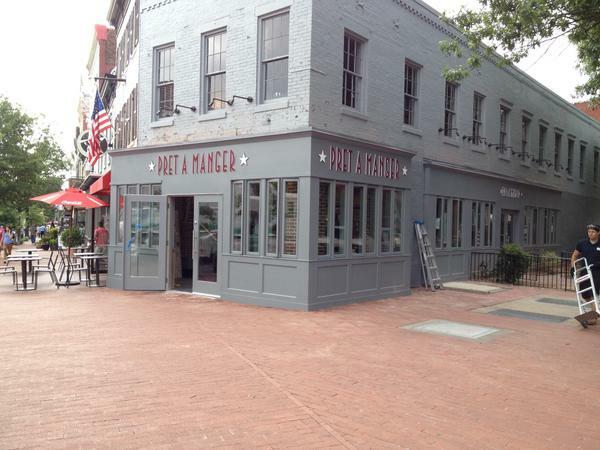 Situated on the corner of 3rd Street SE and Pennsylvania Avenue, the new shop will be catering to the offices and residences of the Capitol Hill neighborhood. The location will feature 4,300 square feet of space and offer two floors of indoor dining space, along with an outdoor seating area. Following their continued commitment to helping the hungry, Pret will donate unsold food at the end of every day to Thrive DC.